The classic Irish writers, James Joyce, Oscar Wilde and Jonathan Swift, are as ubiquitous to the land of shamrocks as Guinness and Jameson are. 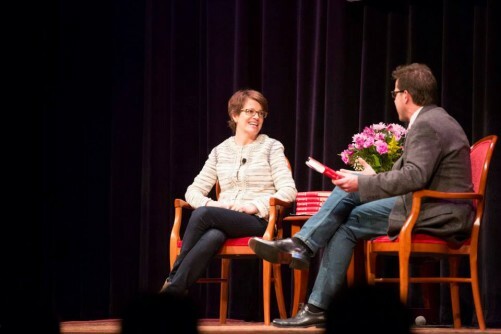 While contemporary America treats St. Patrick’s as a drinking holiday, the National Writers Series has featured bestselling Irish and Irish-American authors on stage. 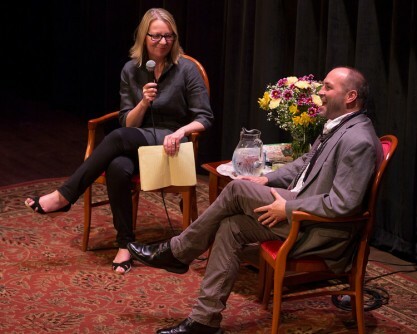 In June 2013, Colum McCann graced Traverse City’s historic City Opera House to discuss his latest novel, TransAtlantic. TransAtlantic is a poetic tale of Irish-American relationships told in three separate narratives. McCann deftly weaves fact into fiction and vice versa. It’s also a narrative of women and family that ties the narratives together. When McCann came to the United States from Ireland in the early 1980s, he set out on a cross-country bicycle trip to get to know his new country and its stories. He’s spent the years since telling those tales through fearless, award-winning prose. Last year on St. Patrick’s Day, New Yorker writer George Packer graced Traverse City to discuss his latest, The Unwinding: An Inner History of the New America. Keep tabs on the NationalWritersSeries for what Irish and Irish-American authors will next grace the City Opera House stage.